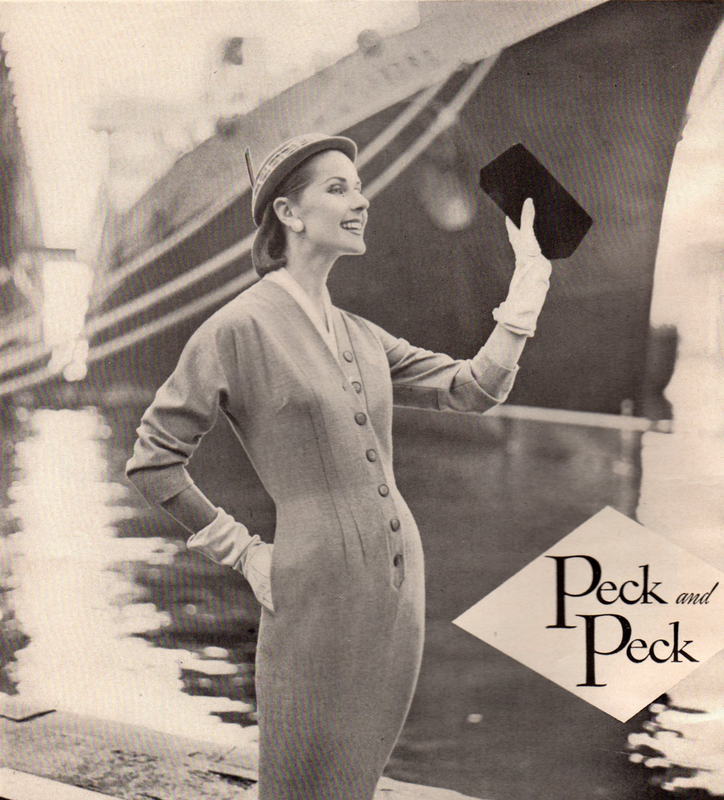 Browsing through a September 1955 edition of Mademoiselle magazine, this ad for the women's fashion store Peck and Peck reminded me of a vintage front-button step-in style dress pattern I had recently listed in my shop. And here it is! Pattern Advance 8620 is a close match, with its dart-fitted slimness and front button step-in closing. 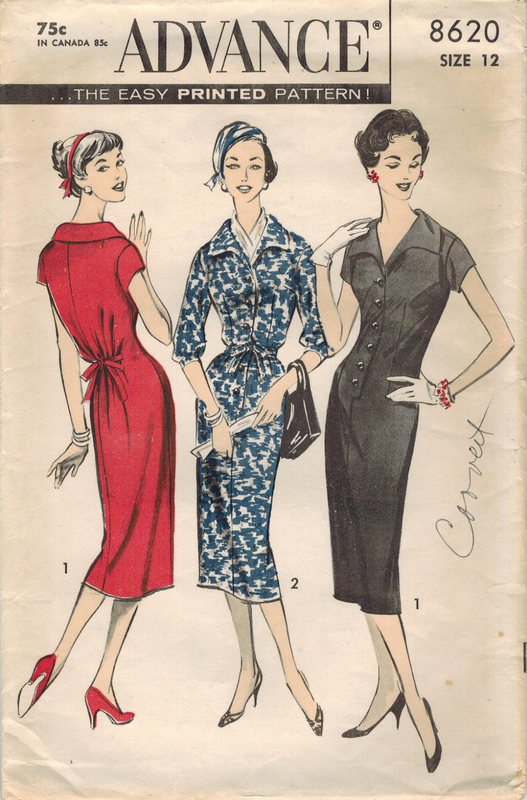 Obvious differences are the pattern's collar and set-in sleeves. This dress clearly shows off the slim figure. But I think I prefer the version from Advance, myself. The collar adds a lot. What do you think?